… a survey of 1,007 self-published writers … found that while a small percentage of authors were bringing in sums of $100,000-plus in 2011, average earnings were just $10,000 a year. This amount, however, is significantly skewed by the top earners, with less than 10% of self-publishing authors earning about 75% of the reported revenue and half of writers earning less than $500. I imagine many of those self-published authors are thrilled to make a single dollar, let alone 500 of them. This doesn’t map directly, but it still applies: I ran my own sites for years and I didn’t make much money off of them. They brought in enough to cover costs, but that was good enough. The point was to create something from scratch and set it loose, and the fact that it made actual cash dollars was a lovely bonus. When you’re talking about a do-it-yourself realm — and I consider self-published authors to be in the bullseye of DIY — the definition of “success” must expand beyond financial reward. I once watched an Apple Store employee work wonders on an iPad. His fingers flicked and swiped and swooped and twirled as though he was conjuring some sort of IT demon. Now, I’m pretty good with an iPad, but I have yet to match that level of competence. I want to get better, but I’m also annoyed that I have to get better at something that’s supposed to be obvious. 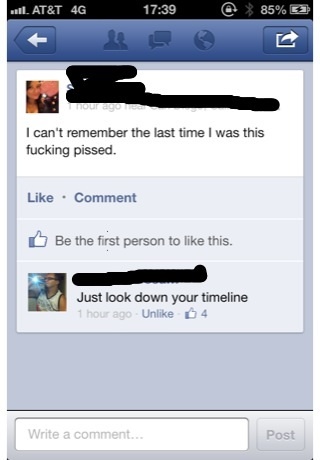 This is why Facebook’s Timeline is equally brilliant and horrible. 1-800-Flowers.com has opened the first retail store within Facebook, according to the Associated Press (don’t worry AP, I won’t quote you). This is what the Facebook shopping experience looks like: Seems like you’re shopping in a widget, right? You are…. 1-800-Flowers.com has opened the first retail store within Facebook, according to the Associated Press (don’t worry AP, I won’t quote you). Seems like you’re shopping in a widget, right? You are. And that’s awesome. Shopping within a widget or ad is nothing new. The 1-800-Flowers.com move is notable because a major retailer offering its products through a massive audience platform is evidence the big companies are starting to get it: They need to sell their goods where audiences already gather. Creating a retail experience within a popular social networking service is an important acknowledgement that online audiences are empowered to go where they want, when they want. Companies need to work with audience behavior, not bend it to their will.